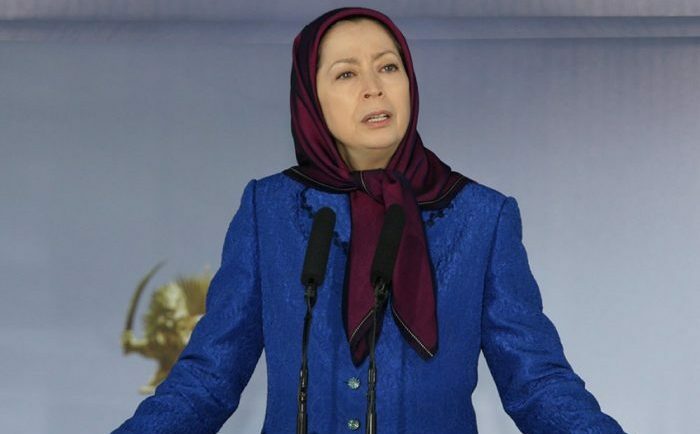 Maryam Rajavi, the president-elect of the Iranian opposition says, the facilities of the military and regime security forces should be made available to the people to help the flood-stricken people. The regime’s inaction in the face of widespread flooding across Iranian cities prompted yet more protests from the Iranian population. On Friday, April 12, protestors took to the streets in Ahvaz, one of the cities worst affected by the flooding, to air their frustrations with this corrupt and brutal regime. The protestors chanted slogans aimed at the social and cultural deputy of Iran’s Revolutionary Guards (IRGC), Mohammad Reza Naghdi, who was visiting the area. They chanted: “Get lost, Ahvaz will remain free!” and “Khuzestan is submerged in water, the authorities are sleeping”, forcing him to leave. The protestors accused the Iranian regime of exacerbating the damage and destruction caused by the flooding. The people of Ahvaz protested the regime’s failure to redirect the flood water onto the marshes and flood plains. They also complained about the lack of facilities and resources to construct flood barriers. The regime has also been utterly absent in providing assistance in the aftermath of the flooding. Victims have been left stranded without access to food and clean water. Rescue efforts to retrieve the bodies of the 200 victims that lost their lives in the flooding have been coordinated by citizens without assistance or resources from the Iranian regime. Demonstrations continued into the night in some parts of the city. 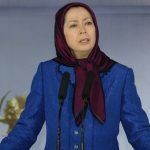 The president-elect of the National Council of Resistance of Iran (NCRI), Maryam Rajavi, made a statement to the Iranian people on Thursday. She urged Iranians to rally together in the face of the national crisis. She called on the youth of Ahvaz to cooperate and form popular councils to deal with the floods in Khuzestan and other provinces. The regime’s forces have helicopters, boats, shelters, engineering equipment, and warehouses that would be of vital importance to the Iranian people in their hour of peril. Instead, the regime is more inclined to use these resources and facilities to terrorise and suppress the Iranian people. They are depriving people of their basic needs to survive. When the people turn to protests, the regime threatens, arrests and violently quashes any political dissent. The regime does not have the interests of the people at heart. They are lining their pockets while Iranians fight for survival and respite from the encroaching waters.